You are currently browsing the tag archive for the ‘Davie Shipbuilding’ tag. Here from Lock E-28A, Bob Stopper’s photo of Canal Corp’s efforts to get the Canal open for season 200! The rest of these photos come from Jan van der Doe, starting with Sandra Mary, 1962, in McNally colors and built by Russel-Hipwell at Owen Sound in 1962. 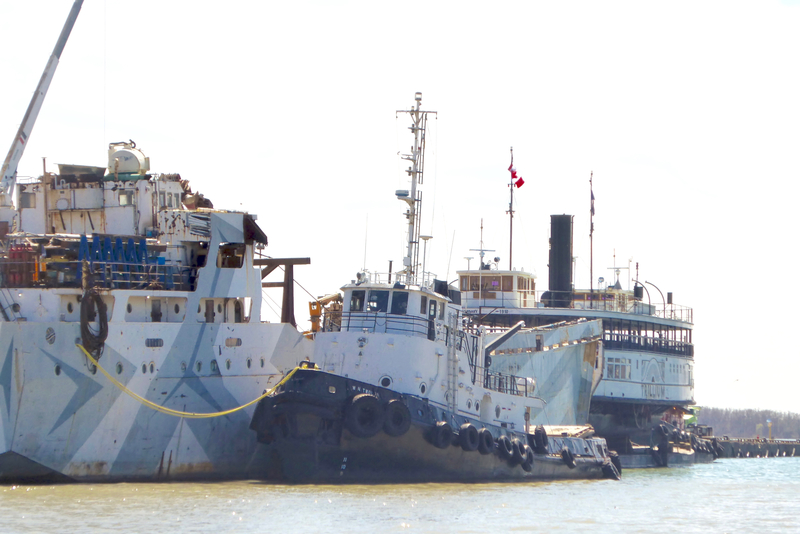 W. N. Twolan, also 1962 built, alongside Menier Consol. 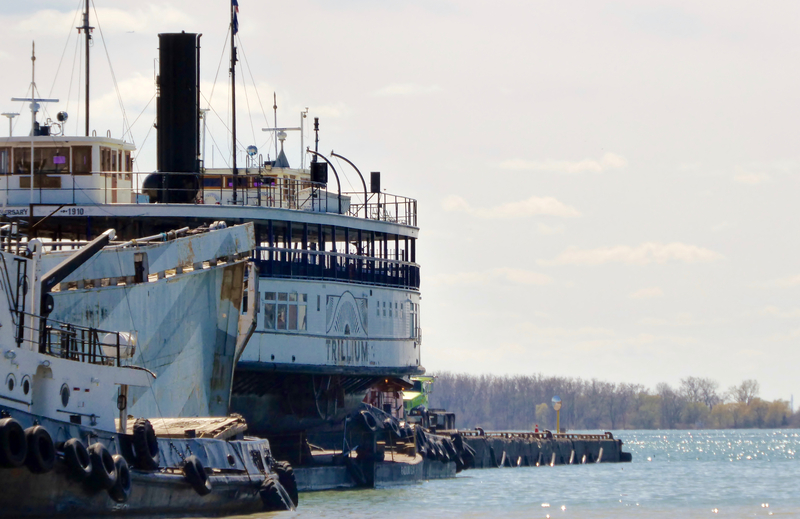 At the end and off the stern of W. N. Twolan, it’s the last side-wheeler ferry to operate on the Great Lakes, PS Trillium, launched in 1910. 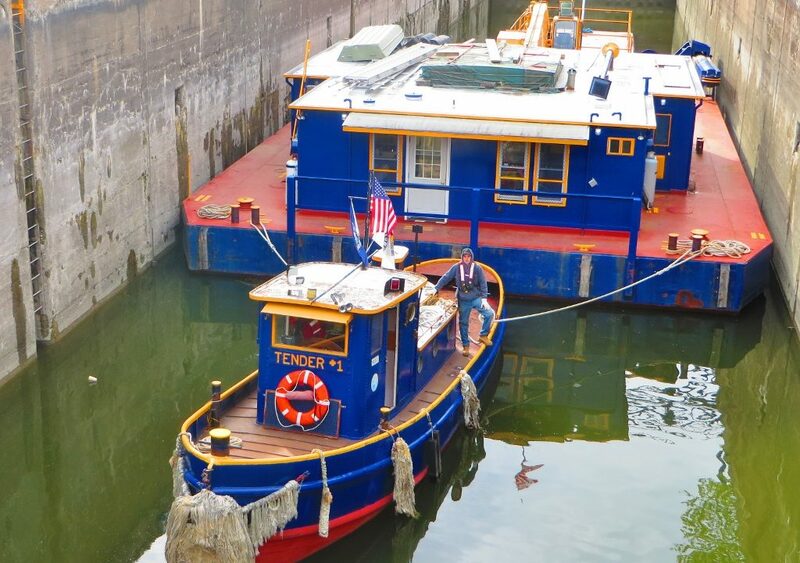 To see Trillium after a 1975 refit, click here. 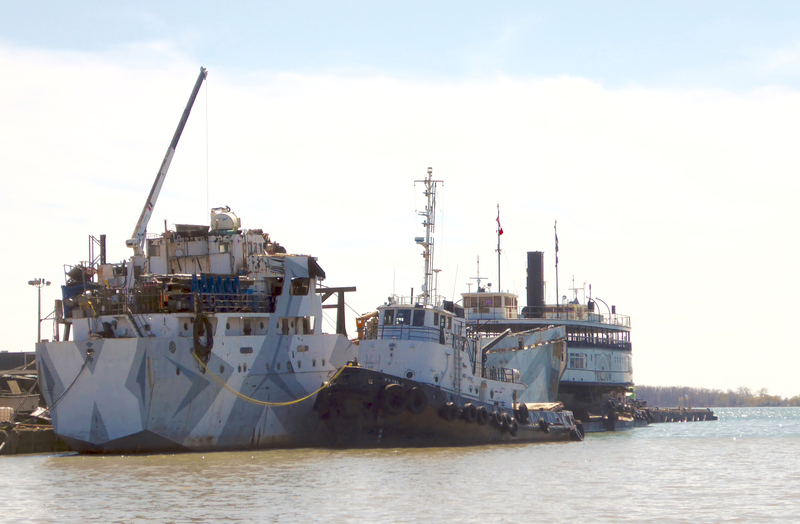 In what I first thought was an unusual military dazzle pattern is actually a 1966 Davie Shipbuilding former cargo vessel that’s been reborn as a floating dry dock. 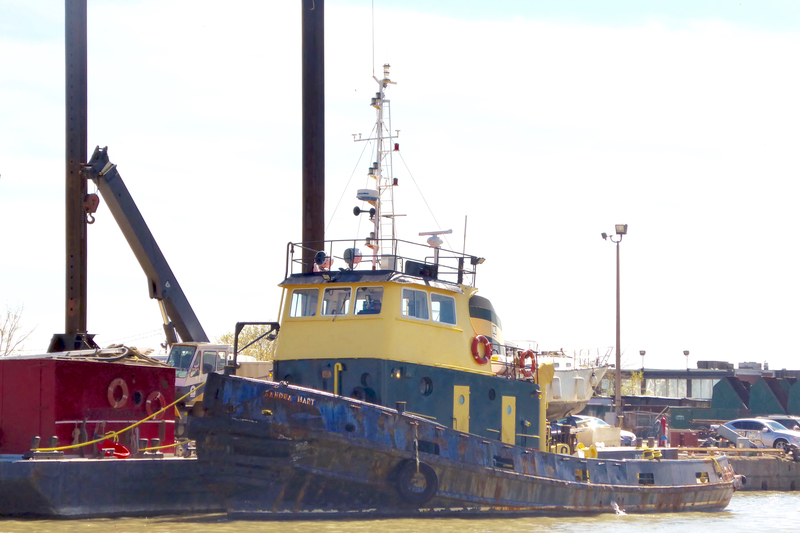 Click here for Menier Consol transporting pulpwood. Last but not least, it’s William Rest, 1961. 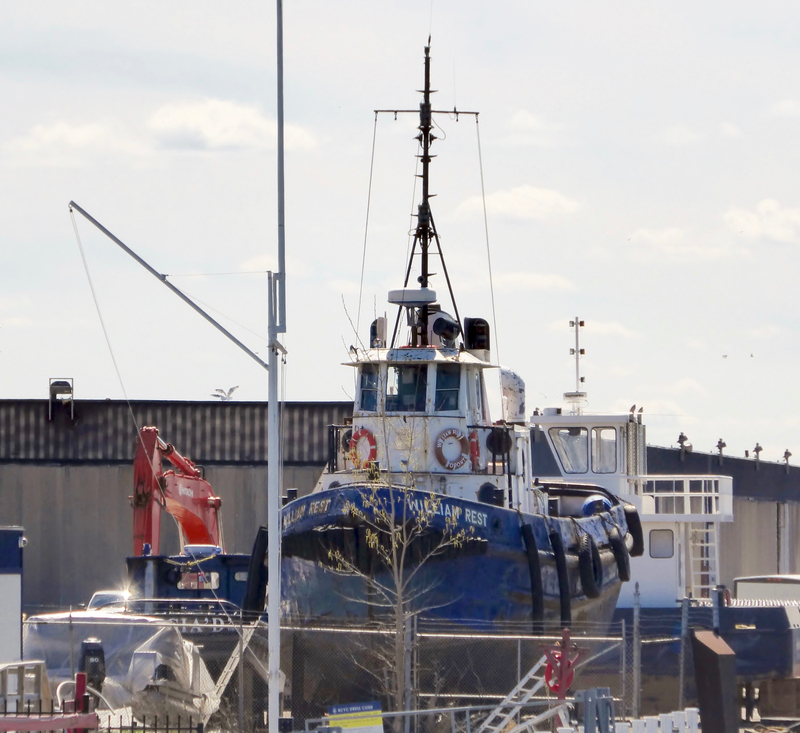 Toronto Dry Dock is one of so many places I need to visit. Many thanks to Bob and Jan for these photos.